Thursday 1st December 2011 is World Aids Da yA day dedicated to bring awareness to those who have died from the disease and strides made in the fight against it. It is also an opportunity for people to unite in the fight against HIV/AIDS, to remember those who have died of the disease and to celebrate accomplishments, such as the increased access to treatment and prevention services. This year, The theme for World AIDS Day is “Getting to Zero.” After 30 years of the global fight against HIV/AIDS, the focus is on achieving 3 targets: Zero new HIV infections. Zero discrimination and Zero AIDS-related deaths. 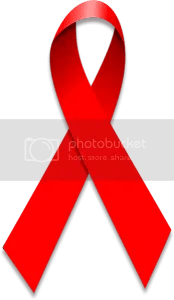 It is estimated that 33.3 million people have HIV worldwide, with 1.2 million persons who are living with HIV in the United States, according to the Center of Disease Control (CDC) estimates. This number is expected to continue to increase over time, as advances in treatments prolong the lives of those who are infected and more people become infected with HIV each year. Despite increases in the total number of people in the U.S. living with HIV infection in recent years, the annual number of new HIV infections has remained relatively stable. However, new infections continue at far too high of a level, with approximately 50,000 Americans becoming infected with HIV each year. Worldwide, the rate of new infections, or incidence, has decreased. In 33 countries, the incidence has decreased more than 25 percent since 2001, including countries in the hardest hit areas of sub-Saharan Africa. The CDC estimates that one in five people living with HIV in the U.S. are unaware of their infection. This highlights the importance of reaching all infected individuals with HIV testing and prevention services. HIV can be transmitted in three main ways: sexual transmission; transmission through blood; and mother-to-child transmission. These three routes of transmission work in tandem to affect segments of the population. The number of infections resulting from each route will vary greatly between countries and population groups. HIV counseling and testing are fundamental for HIV prevention, as is access to essential commodities such as condoms or sterile injecting equipment. Discrimination against those infected with HIV/AIDS includes both the fear of getting the disease and also negative assumptions about people who are infected. AIDS-related stigma has had a profound effect on the epidemic’s course. The World Health Organization cites fear of stigma and discrimination as the main reason why people are reluctant to be tested, to disclose their HIV status or to take antiretroviral drugs. “We can fight stigma. Enlightened laws and policies are key. But it begins with openness, the courage to speak out. Schools should teach respect and understanding. Religious leaders should preach tolerance. The media should condemn prejudice and use its influence to advance social change, from securing legal protections to ensuring access to health care.” Ban Ki-moon, Secretary-General of the United Nations. More than 25 million people between 1981 and 2007 have died from the virus worldwide, making it one of the most destructive pandemics in history. In the US, nearly 594,500 people with AIDS in the US have died since the epidemic began. The goal of ‘Zero AIDS Related Deaths’ signifies an increased access to available treatments for all those infected. Currently, only one third of the 15 million people living with HIV worldwide who are in need of life long treatment are receiving it. Universal access to antiretroviral treatments for those living with HIV will not only decrease the number of AIDS related deaths, but will increase the quality of life among those infected and decrease transmission.